IEC 61508 和 IEC 61511 标准代表了过程工业的一个里程碑，在整个仪表系统中实现了最高的功能安全等级生命周期. Manufacturers worldwide are striving to comply with these two standards. On the other hand, customers are realizing the priority of caring for human lives, and are now demanding for products that comply with the newest and most stringent safety requirements. The words functional safety, hazard analysis, risk assessment, failure rate are entering everyday's speeches among engineers and plant technicians. GM International's Management of Functional Safety has been certified by TUV to comply to the latest Clauses of Edition 2 of IEC 61508, for safety related systems up to level SIL3 (download certificate). Useful introductory documentation can be found on IEC website at this link. 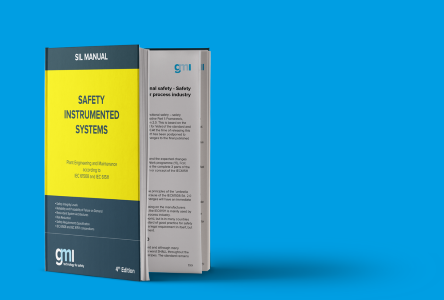 GM International has also published the "Safety Instrumented Systems - SIL Manual" with examples, formulae and explanations of the most important facts about IEC 61508 & IEC 61511. Contact us to find out how to receive a copy. Please refer to unit instruction manual for functional safety information.